This recipe has been passed from generation to generation and is one of my world favorites. You may not need all of the ingredients to make this recipe, so mix up some of the items on a daily basis and follow the instructions below. Step 1. Stop thinking everyone else has it better. You know it when you think it: "They drive a cleaner car, have more cash in the bank, have a bigger shoe collection, a better job, a book deal, a better body, a new baby," or whatever else you may appear to see or think you see or assume is true of someone else's life. Everyone’s life around the world appears to be perfect with the exception of yours. There are days when you might catch yourself glancing at the marks on your walls thinking the house across the street is perfectly unscathed. But whose reality are you really seeing? Upon closer inspection, you will likely discover that no one's life is perfect and for every cleanest, best waxed car ever there is a crumb somewhere else. So it is important to focus on yourself and only yourself with respect to your own life and world and to evaluate ONLY how you are doing in this life of yours. We keep the word perfect out of our vocabulary here at Best Ever You. It says Best Ever You, not Perfect Ever You. It takes a look within to learn and practice and be your Best Ever You. It is important to understand that it is a continuous process. There is always a moment to be your best or help someone be their best. When we become engaged, consumed or perhaps overwhelmed with life's responsibilities it is easy to let ourselves slip into the behaviors or habits that are less than our best. We live our daily lives facing a continuum between best and stressed. Our environment can become cluttered, we may not sleep as well, we may make choices that reduce our positive energy and generates more of a stress based response to our daily life. These are all clues that something needs to shift. If we took a minute to write out what our life looks and feels like when we are feeling our best we would find there are indicators that we can follow to monitor our well-being. This can be tricky as we age, as the values that we were raised with may not be the values we grow into. Our lives and our value systems are dynamic and change. What values do you have that direct your big picture decisions? If someone gave you a limited life expectancy would you be able to say you are living today, the way you would want to for the remainder of your life? What would change? What do you want your children to understand as most important or what do you want people to remember most about you? These questions alert us to whether or not our values are aligned with our actions and lifestyle. If values aren't aligned, asking ourselves what is true to who we are, can redirect us and bring new awareness to what we seek to change. How well are you taking care of yourself? Are you treating yourself well? What is wellness to you? Do you feel fit? Are you satisfied with how you feel? Are you eating well? Are you exercising? Are you stepping into your closet and having a cringe-factor moment where nothing fits? Practice wellness. It may be part of a new value system you implement for yourself. Practicing overall wellness has more components that just your jeans fitting on any given day. Wellness is an overall way of choosing to live. It's eating healthier, mindset, exercise, and finding a way for yourself where the internal critical and worrying voice(s) quiet. It's being ready for the big event now, for example, instead of seeing the event six months down the road and going on a crash diet for it. It's a way of always being. It’s practicing wellness habits that help you feel your best each day. The power of we begins with you. We think you are amazing and awesome in every way, but life is not all about you. It's about us - together. Ask someone today, "How can I help you?" You'll be amazed at the responses. Who we truly are at our best is often reflected in how we behave. Does our behavior match our values? Do we respond to situations versus react? Are we generous and understanding versus critical and judgmental? We usually operate somewhere on a continuum each day depending on how calm and aware we are of what our wise inner voice is saying. When we aren't able to hear that highest self-talk, we often neglect our self-care and turn to external calming sources. When we have tendency towards over-indulging it is usually triggered by this imbalance and not hearing our wisest messages coming from within. Quiet awareness and examination of our daily circumstances and their influence on our behavior can help us get back into focus of our best self. How many times have you stopped yourself from trying something because you were afraid you wouldn't be good enough? How many times have you hit your thigh on the corner of a drawer before you walk a different route or stop, pause and shut the drawer first in awareness that it is open and you've been through this before? We learn from failure or disappointment. Moments can be wake up calls and it is important to tune in, listen and adjust your life and behavior accordingly. Naysayers are people who make fun of you or try to stop you from making changes or who want you to give up. They may not even know how they are as sabotaging your efforts because they are out of touch with their own struggles. They’re often people who are trying to break the cycle themselves or have yet to acknowledge their habits. They aren't wrong to think the way they do, but their thoughts just don't fit yours anymore. Breaking free from their influence can be difficult. The only cook that needs to be in the kitchen is you. It's a discussion with ourselves that not many of us have and yet it remains one of the most argued about topics around us. From governments to your own home, money is a battle ground topic. Are we here today to help make the world a little bit better than when we leave it or are we here to just take, take, take and never give? For many people, money is a source of always wanting more. You can always hear folks saying, "If only I had $450,000, I could...... If only I had $1,000,000 I would..."
Giving away our power to be happy based on any one thing only defeats us. It's not about our money. It's about how we make meaning from our circumstances and how we direct our energy. Some of the most generous people in the world barely have enough to eat, but they share what they have. I'd like to set a goal of earning ________________. 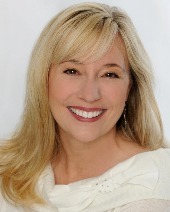 Elizabeth Hamilton-Guarino, Hay House author, founder and CEO of the Best Ever You Network, understands firsthand the challenges life can bring and has worked with thousands across the globe to illuminate their light within and help them live their best life. She has a degree in communications and broadcasting; is a life coach, food-allergy expert, and anaphylaxis survivor; and is the host of The Best Ever You Show. Elizabeth lives with her husband and four boys in Maine. 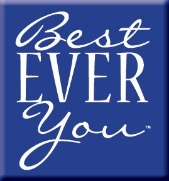 Visit BestEverYou.com for more information. Thanks for the great recipe! I really like having 20 cups of laughter on a daily basis. Quit taking things so seriously.